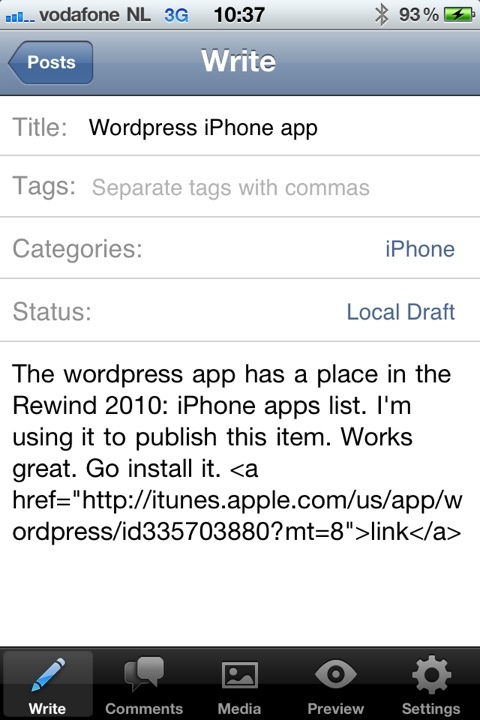 The wordpress app has a place in the Rewind 2010: iPhone apps list. I’m using it to publish this item. Works great. Go install it. This entry was posted in Tooling. Bookmark the permalink.